The LG Optimus LTE series might be the most successful recent launch of high-end smartphones for the Koreans as it sold over 4 million units, according to the latest sales update by LG. This number seems to include not just the first-gen Optimus LTE but also its successor and the Optimus LTE Tag. Back in May, we learnt that the Optimus LTE alone sold over 1 million units only in Korea where it’s pretty popular. Its sequel sold around 400,000 copies in LG’s home market. Now, again back in May, LG reported selling 3 million LTE phones, so that means that since than it added 1 million sales which is not bad at all. As to our experience with LG’s handsets, we liked what the company has done with its latest flagship, the quad-core LG Optimus 4X HD which seems to finally be a well-rounded product, after a couple of misfires in recent years. 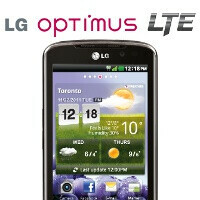 The Optimus 4X HD is LG's latest flagship. Yes, not bad. Though they can't beat Samsung in sales, still, 4 million is significant. "the Koreans" refers to LG.